Like most of us at Maple Valley, Jim has many roles in the cooperative. As Producer Relations Manager he is the main contact for our network of farmers. 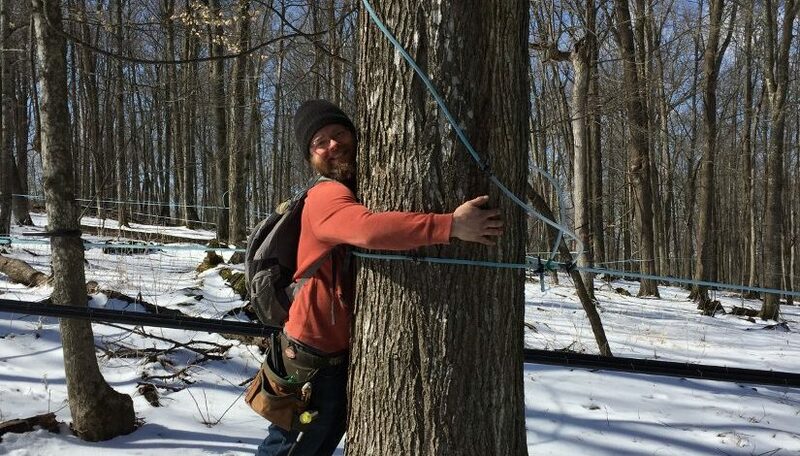 He coordinates maple syrup deliveries and ensures the farmers are paid a fair price for their product. 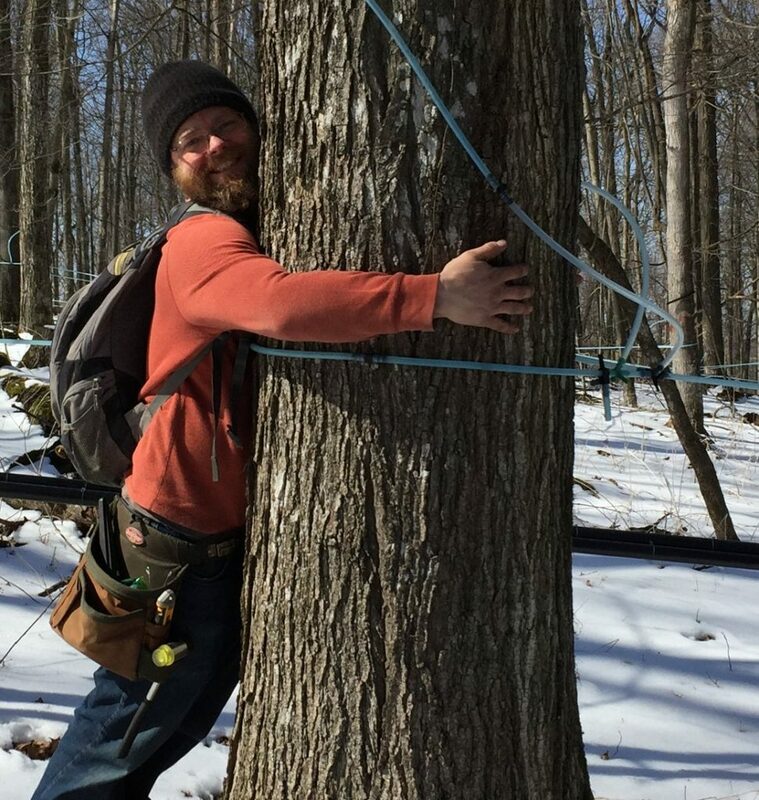 He can be found in his maple woods at the beginning of each year fulfilling his role as Maple Farmer. Finally, he dedicates a portion of his time as Board Member to ensure the farmer’s needs are met. With such a varied role, it is perhaps no surprise that Jim states the diversity of his job is what he loves the most about it. “I like that I have multiple roles that let me see different aspects of the company. I really enjoy working directly with farmers, & feel my role is integral in the success of the business.” It was the pursuit of this ability to make a difference that first motivated Jim to start working at Maple Valley Cooperative. Six years ago, Jim and his family decided to leave the big city in Illinois in pursuit of a simpler life in Wisconsin. 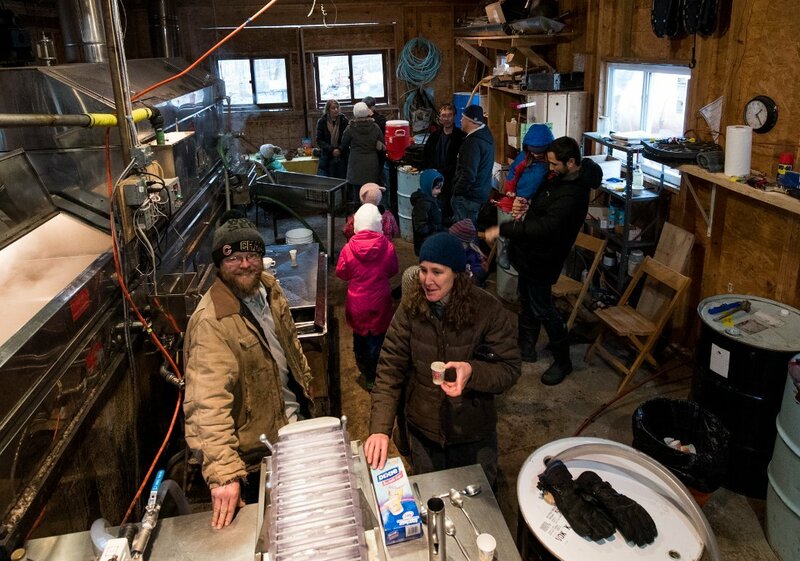 Shortly after their move, he purchased some maple woods and began working along side Maple Valley farmers Cecil & Eric to process maple syrup. He also got a job selling organic grain to farmers where he worked for several years. It was in October of 2015 that Cecil told Jim that Maple Valley Cooperative was looking to hire a sales person. Jim was intrigued. The company he was selling grain for was growing very quickly. Although he really enjoyed working with the farmers and helping them get a good price, he wanted to work for a smaller company that embraced his values and organic lifestyle. Having decided he was ready for a change, Jim took the job at Maple Valley. His initial role consisted of mostly sales and also helping with production. He spent the majority of his days contacting potential customers. Jim had only been working in this role for a short time when the head Production Manager left the company. Since he was already working in production, he decided to stop doing sales and took on production full time. Jim was once again working with farmers and he found it very rewarding. Recently, he has passed his Production Manager role to focus exclusively on farmer relations. While he was working in production, he was able to streamline operations at the cooperative. He improved efficiency, upgraded equipment, increased organization, and made things safer. He has also been able to improve the farmer relationship program with more fair pricing and better documentation. It is his goal to increase this focus even more in the future with more farmer visits and relationship building efforts. 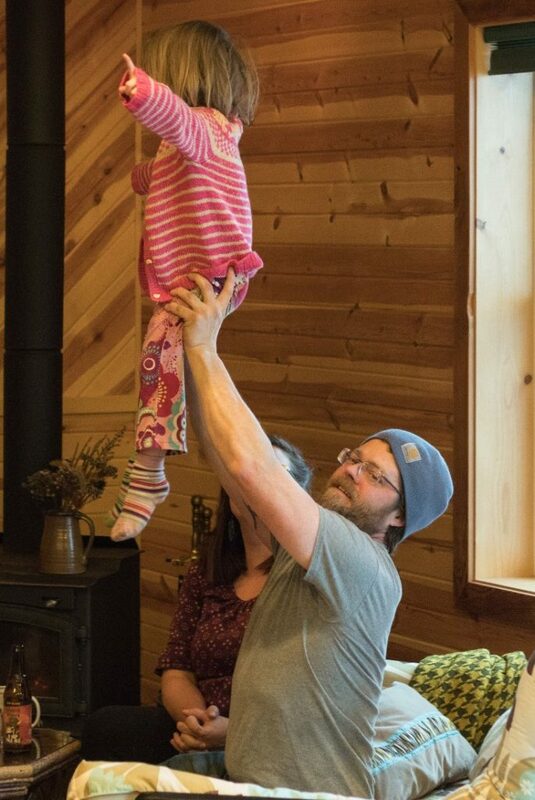 When Jim isn’t busy with his many roles at Maple Valley, he can be found at home with his wife Aja and their four children in their off-the-grid home. There is much to do at home between homeschooling and caring for their farm animals. However, he sometimes finds time to sneak off to their woods, or visit with friends in Viroqua, WI.